A symbol of good luck in Chinese tradition, bats are also useful in reducing the number of mosquitos and other insects. In Western societies, bats are viewed with distaste and occasionally fear. Many people find their fur and tiny teeth repulsive. Unlike birds, bats are never brightly colored. It is fair to say they resemble demons or gargoyles, and they have long been associated with vampires. Some of those who suffer from chiroptophobia (a clinical fear of bats) worry they may be bitten by a blood-sucking species. Just three of the world’s 1,200-plus bat species feed on blood, however, and they are found only in Latin America. In Chinese Symbolism and Art Motifs: An Alphabetical Compendium of Antique Legends and Beliefs, as Reflected in the Manners and Customs of the Chinese, C.A.S. Williams is emphatic: “The bat is by no means regarded with aversion as in other countries. On the contrary, it is emblematic of happiness and longevity. The conventional bat is frequently employed for decorative purposes, and is often so ornate that it bears a strong resemblance to the butterfly.” Williams goes on to say that bat symbols in mansions are often painted red – an auspicious color – and that five bats shown together represent the “Five Blessings” (五福, wǔfú), a recurring motif standing for wealth, health, virtue, reaching an old age, and dying a natural death. The National Palace Museum collection includes a number of items adorned with bat patterns, including glazed vases from the 1735-1796 reign of Qing Dynasty Emperor Qianlong. The Compendium of Materia Medica, a late 16th-century Chinese book on herbal medicine, links bats with longevity, stating: “In the caverns of the hills are found bats a thousand years old, and white as silver, which are believed to feed on stalactites. If eaten, they will ensure long life and good eyesight. The blood, gall, wings, and so on, are therefore prescribed as ingredients in certain medicines.” Of course, no bats live for a millennium, but some have been known to survive for almost 40 years, far longer than other small mammals such as mice and shrews. Bat feces play a role in modern Chinese herbal medicine. Known by the Mandarin euphemism yèmíngshā (夜明砂, literally “night brightness sand”), they are believed to clear the liver and help with eye ailments such as night blindness and cataracts. The oft-repeated claim that bat droppings are an ingredient in some brands of mascara is erroneous. Bat feces, however, like seabird guano, are rich in nitrogen and thus an excellent fertilizer. Bats are mammals; like humans, they give birth to live young and nurse them with milk. Bats have considerably bigger brains than birds of the same body weight, and whereas birds have hollow bones, the bones of bats are filled with marrow. Just as Taiwan amazes those who appreciate birds and butterflies, the island boasts a bat population of stunning diversity. Most bat species eat insects or fruit. Taiwan has an abundance of both, so it is no surprise that the island is home to an impressive number and variety of Microchiroptera (microbats, which are generally small and insectivorous), as well as three kinds of Megachiroptera (flying foxes, also known as megabats). Taiwan has 35 bat species, confirms Wu Chung-hsin, associate professor of life science at National Taiwan Normal University and chairman of the Bat Association of Taiwan (BAT). Eleven of these species are endemic, meaning they are found nowhere else on Earth. Japan, which has 10 times Taiwan’s land area, has 36 types of bat. The United States has 45. Unfortunately for people curious about the island’s bats, less has been written about them than Taiwan’s birds, Lepidoptera (the insect order that comprises moths and butterflies), or even its snails. 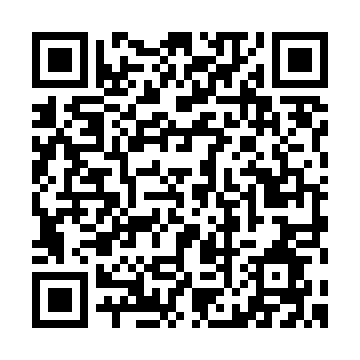 The BAT website (www.bats.org.tw) is in Chinese only. 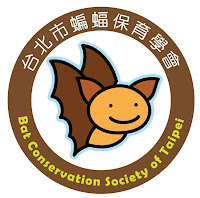 English speakers will find it more useful to visit the site (www.batinfo.org) of the Bat Conservation Society of Taipei (BCT). If you scroll down the menu at the left of the home page to “Events” and click on “Bat Watching Map,” you will see the cover of an e-book titled Bat Watching in Taiwan. Clicking on the words “Open Publication” brings up a brief bilingual booklet with details of six bat-watching hotspots, Taiwan’s six most common bat species, and bat-watching etiquette. Building bat houses is not only a good way of helping these bats live in urban environments, Hsu says, but also a way of reducing the number of mosquitoes in the neighborhood. BAT’s Wu has described bats as “natural pesticides,” pointing out that a single bat can eat 3,000 insects per night. If you find a bat in your house and want to remove it, catch it gently using a cardboard box, the BCT website advises. Do not touch it, and do not release it during the daytime. “In certain places during the summer, Chestnut bats (Scotophilus kuhlii) and Formosan Golden bats (Myotis formosus flavus) are very common,” says Hsu. The first of these is known in south and southeast Asia as the Lesser Asiatic yellow bat; the latter, also found across a wide swath of Asia, is alternatively known as Hodgson’s bat. “Another species widespread in suburban, agricultural, and forest areas is the Taiwan tube-nosed bat (Murina puta),” he adds. This species is also endemic. The paper, “Roost Selection by Formosan Leaf-Nosed Bats” by Ying-Yi Ho and Ling-Ling Lee of National Taiwan University’s Department of Zoology, notes that researchers have found that some Formosan leaf-nosed bat colonies use the same roosts year round, while others migrate seasonally. In addition, “summer roosts can be categorized into two types: breeding colonies consisting mainly of females and non-breeding [or bachelor] colonies consisting mostly of males.” This separation of the sexes is unusual among bats but not unique. In addition to habitat loss, bats often suffer from noise, light, and smells generated by Taiwan’s human population. A small number of bats continue to roost in Beihai Tunnel on Nangan in the Matsu archipelago. However, according to guides who take tourists on boat trips through the oceanside tunnel – dug by the ROC military so supply boats could be unloaded during Communist bombardments – the bat population has dropped in recent years as a result of noise caused by visitors and the bright lights installed to ensure their safety. Yet Beihai Tunnel is also an example of how bats sometimes benefit from humanity’s impact on Taiwan’s environment. Of the 32 potential roosts Ho and Lee examined for their study, only 15 were natural caves. The others were abandoned military facilities, traffic tunnels, or other manmade structures, and 14 of the 32 were mainly or entirely concrete. For geological and tectonic reasons, Taiwan lacks huge caves of the kind that host massive bat colonies in Thailand, Texas, and other places. Frequent earthquakes mean caverns sometimes collapse or are sealed by rubble, so roosts inadvertently created by humans are especially important. Admission to Hualien County's Yue Cave (open 9 a.m.-4:30 p.m. daily; NT$100 for adults, NT$50 for infants and senior citizens) includes a short boat journey through a water-filled cavern where tourists can see – in addition to thousands of bats – stalactites, stalagmites, and fossils. Taiwan’s most famous bat-watching site is near the coast in New Taipei City’s Ruifang District. “More than 500,000 female Common bent-wing bats (Miniopterus schreibersii) go there each summer to give birth. Some former air-raid shelters are now bat roosts, but none of them has a population as huge as Ruifang’s cave,” says Hsu. Shei-Pa National Park has an exceptionally diverse bat population, 24 species having been found over the past five years in the Xuejian Recreation Area and Guanwu National Forest Recreation Area, both in the park’s northwest. Since 2008, the park has spent NT$120,000 building 16 bat houses. Earlier this year, the largest of these got its first bat resident, an Asian barbestelle (Barbastella leucomelas). This species is found in China, Japan, and central Asia, but is very seldom seen in Taiwan. Individual bats are vulnerable to typhoons and cold snaps. Like birds, some are killed by cats, cars, or wind turbines. White-nose syndrome, a fungus that has killed millions of bats in the United States and Canada, has yet to appear in Taiwan. The BCT supports research into causes of bat deaths, and invites anyone who finds a dead bat to send the remains – so long as they are fresh enough for the cause of death to be detectable – and any pertinent information to them for analysis. Their website gives instructions in Chinese on how to do this, and provides a phone number (02-2325-4836) to call. Before aiding a bat that appears injured or exhausted, you should take steps to protect yourself. Although there is no risk of catching rabies or other lyssaviruses (Taiwan is one of the world’s few rabies-free territories), bats are wild creatures and so may carry disease, the BCT website warns. Wearing cotton gloves will protect your fingers if the bat's fear causes it to try to bite its rescuer. Moreover, gloves make it less likely you will leave your own odor on the bat, which could cause a baby bat’s mother to reject it if they are reunited. If you do not have any gloves, use a small towel. Afterwards, wash your hands thoroughly. Bats should be handled very gently because their bones are fragile and accidental suffocation is a danger. Specimens found outdoors can often be picked up with a stick, as touching the bat’s feet with a stick usually prompts a grab reflex. If there are no obvious injuries, place the bat somewhere safe, such as on top of a wall. If it is daytime, make sure the bat is shielded from the sun. Do not move a baby bat far, to increase the chances its mother will find it. But do use the opportunity to get a good, close look at one of these remarkable, beneficial creatures.